CLIFF NOTES: I am a patter recognition chartist. I am NOT trying to be overtly bullish or bearish. Just using this forum to show the PATTERNS that area ppearing. 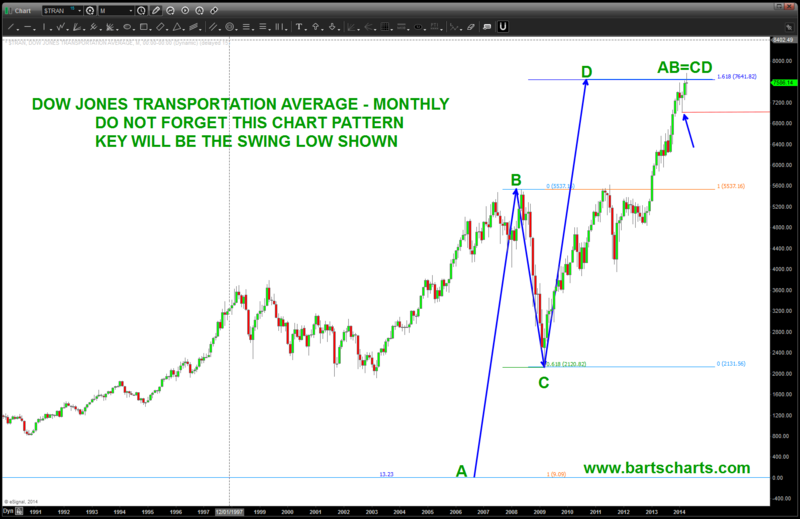 On the DJ Transports we have completed a MAJOR AB=CD sell pattern w/ a 1.618 extension. That is bearish. It’s particularly bearish because the pattern using the former all time highs and lows. 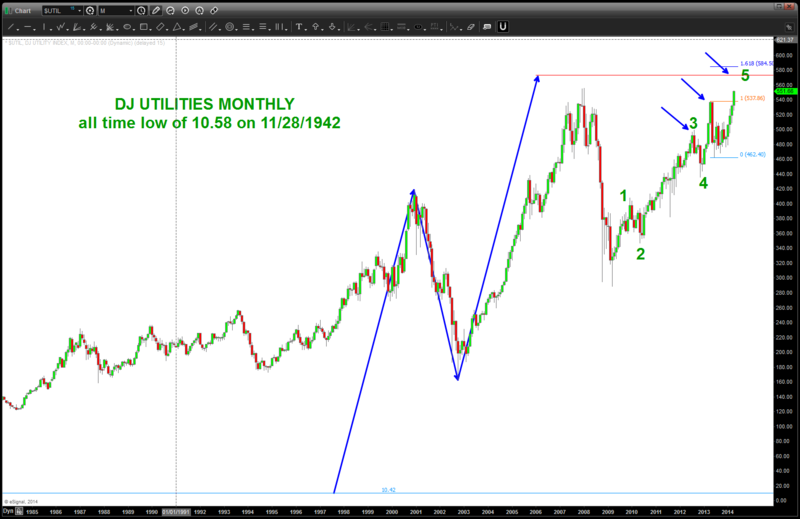 I am also showing the Utilities almost completing a very bearish pattern. Again … heads up folks, these are NOT 60 minute intraday scalping trades. These are MAJOR patterns that bear close watching.